The master Suite at the Castle. 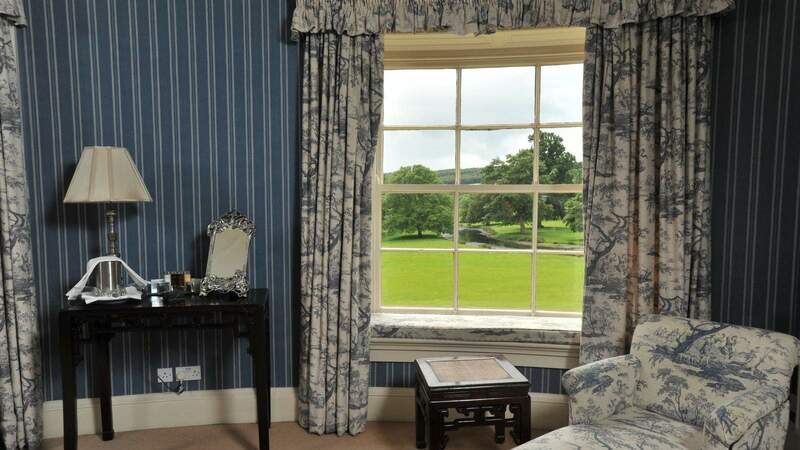 An expansive bedroom, spacious sitting room and beautiful bathroom with spectacular views across the parkland grounds. 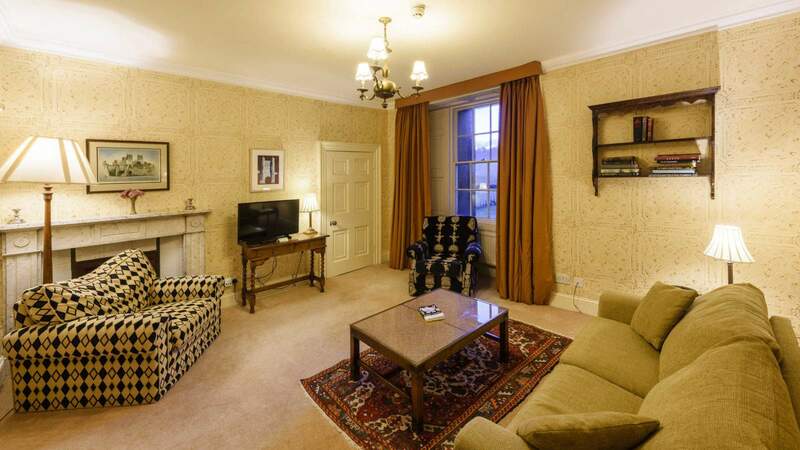 A well positioned suite located in the Castle tower on the top floor. Ideal for a romantic high-light and also very popular with families. The Turret is quirky, unique, with the rooms and some of the furniture circular. The suite is set-up as follows: Lounge (ground floor), bedroom (first floor) and bathroom (top floor). A firm favourite, York has an ornate silk bed canopy and a free standing Victorian bath in the spacious bathroom. Views are of the parkland and lake.